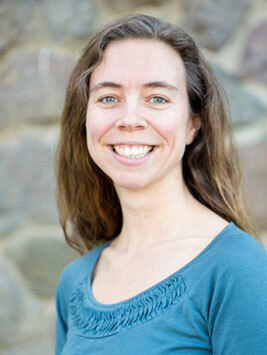 Bridget is a California licensed naturopathic doctor, practicing at Farmacopia in Santa Rosa. She has a longstanding relationship with holistic healing and natural therapies, while also being fluent in the biomedical sciences and Western medicine. She focuses on nutrition, lifestyle, and botanical medicine as primary therapeutic tools, integrating Western and Ayurvedic perspectives. Additionally, she incorporates Craniosacral therapy, Visceral Manipulation, and Taoist Organ Massage into her practice. Dr. Bridget attended Naturopathic medical school at Bastyr University in Seattle. Thereafter, she completed a clinical teaching residency at the Bastyr Center for Natural Health, where she focused on family practice medicine, with added training in environmental medicine, diabetes, urology, gynecology, pediatrics and biofeedback. Before Bastyr, she attended programs at the California School of Herbal Studies, the Dhyanna Center, the Pacific School of Massage, and The Chi Nei Tsang Institute. She also has a culinary background, serving as a chef and kitchen manager for the Occidental Arts and Ecology Center for many years. In practice, Dr. Bridget’s goal is to understand the many factors that are influencing one’s health, to address the underlying causes of imbalance, and help create lasting healing. She encourages her patients to cultivate health practices that resonate with their unique values and intrinsic joys.